Ed Zink and his wife, Patti, were recognized for their conservation work on wetlands on their property in the Animas Valley. The Colorado Riparian Association has awarded Patti and Ed Zink its Excellence in Riparian Management award for 2012. The recognition reflects the couples environmental stewardship, community service and their hours of volunteer time. 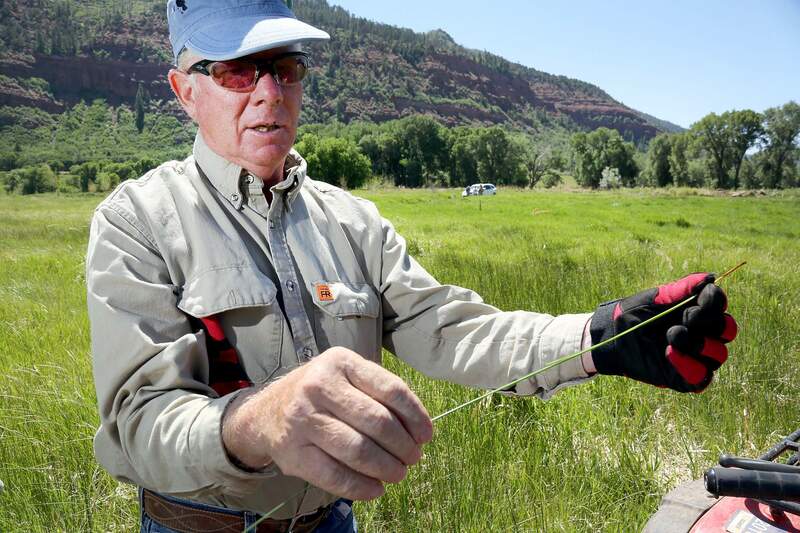 Ed and Pattis exemplary land stewardship has contributed to the health of the Animas River, one of the most biologically important river systems in Southwest Colorado, Jay Thompson, chairman of the Colorado Riparian Association, said in a statement. Awards traditionally are given annually to an individual and to an organization. The Zinks in 2006 enrolled 80 acres of their land in a permanent open space conservation easement and created a 50-acre wetlands at their Waterfall Ranch in the Animas Valley north of Durango. The project improves water quality, provides a corridor for bird migration and conserves the aesthetics of wetland open space. The Animas River Wetlands will provide habitat for wildlife and serve as a local educational facility. Projects elsewhere in the county that invade sensitive areas can use the Zink wetlands to offset their impact. One recent example occurred when La Plata County used ¾ acres to improve the intersection of County Road 311 and Colorado Highway 172. The county will buy that amount of the 50-acre Zink wetlands. The Zink family has ranched in the valley since 1914. The Colorado Riparian Association is a group of landowners, resource managers, organizations and interested people that promote awareness of the values and long-term benefits of proper management of riparian areas.